The operator of fractional vacation homes is paying $4.7 bln for rival ILG. It helps close the gap with market leader Wyndham. But cost savings cover barely half the premium and debt may exceed four times EBITDA. It underscores the high cost of time-share ownership. 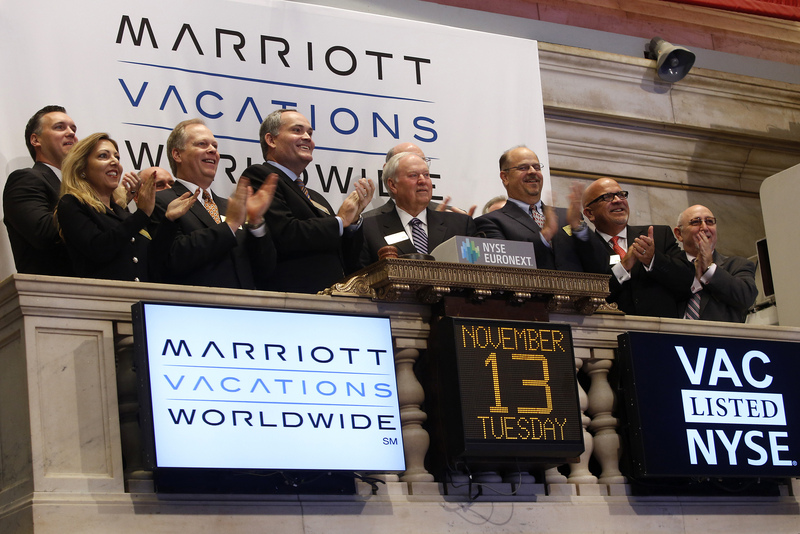 Steve Weisz (C), CEO of Marriott Vacations Worldwide, rings the opening bell at the New York Stock Exchange, November 13, 2012. Marriott Vacations Worldwide on April 30 said it agreed to acquire ILG for approximately $4.7 billion in cash and stock. ILG investors will receive $14.75 in cash and 0.165 shares of Marriott Vacations for each share they hold.